Mod Engagement Photos. 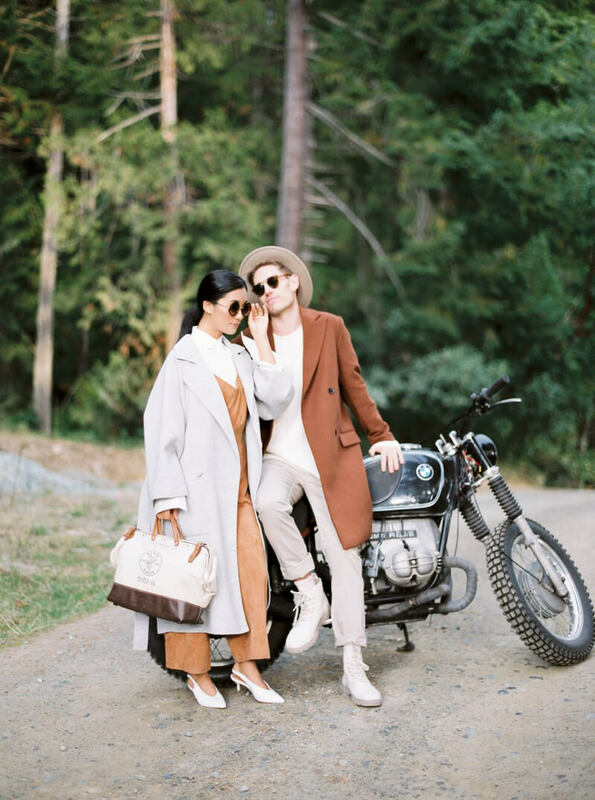 This unique styled engagement shoot from the Forage and Fern workshop on Galiano Island outside of Vancouver, BC, is a nod to 60s mod style and fashion. 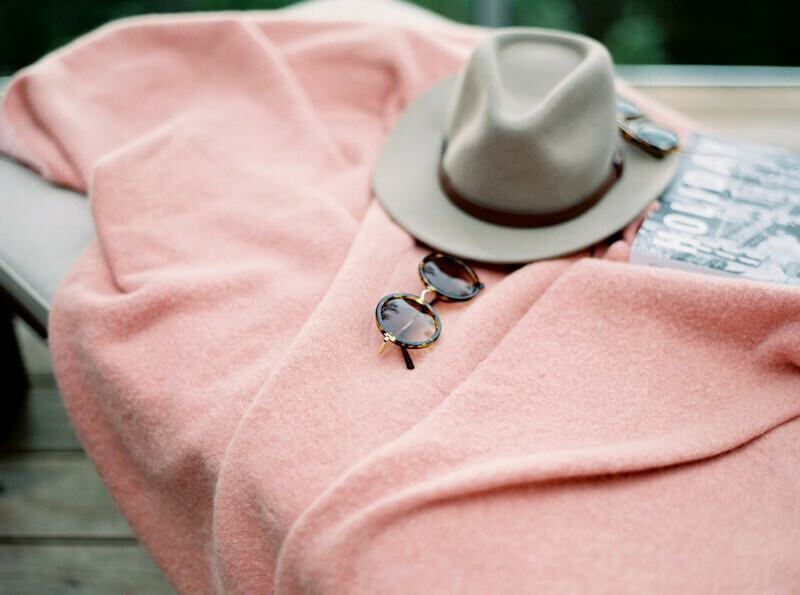 The serene island serves as a quiet location to document this love-filled day of style, intimacy and relaxation. 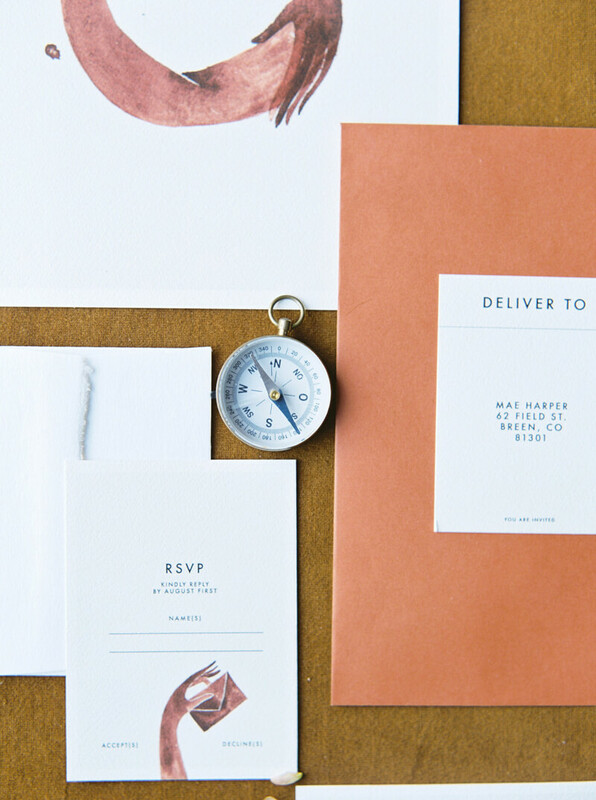 A modern paper suite featuring artistic style sets the tone for the shoot with its burnt red hue. 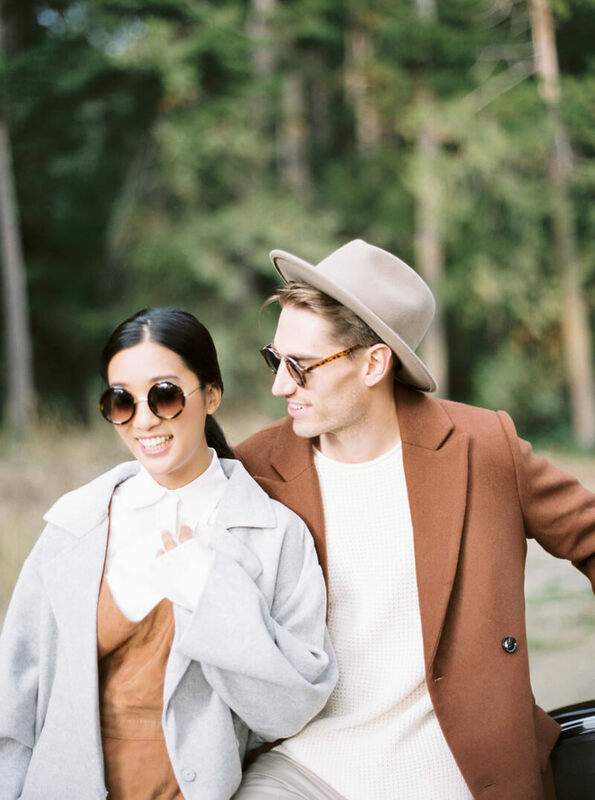 The couple epitomize modern fashion through solid colors and a few simple but impactful details. She wears a pair of white kitten heels to accompany a gold jumpsuit and long gray trench coat. He grabs a burnt red overcoat to match a white sweater and rolled khakis. 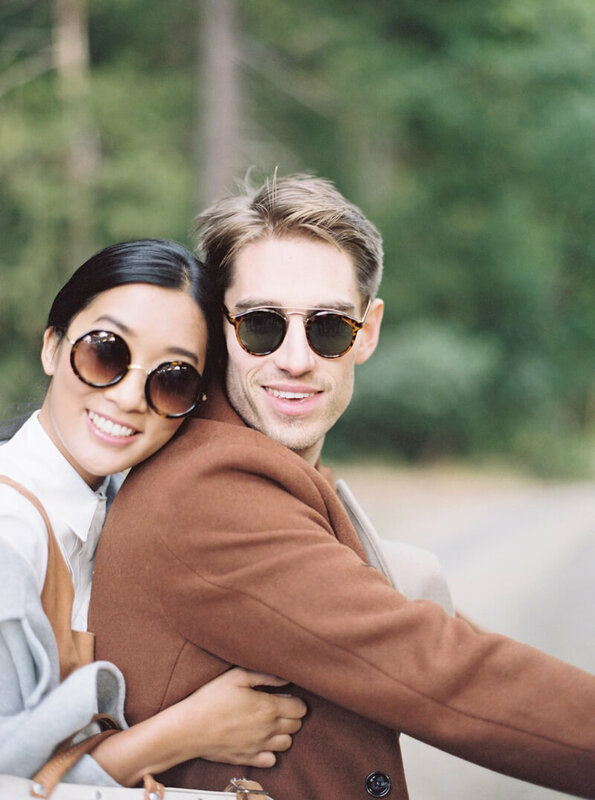 The couple also sport round tortoise shell sunglasses for their ride around the island. They hop on a vintage BMW motorcycle to take a peaceful ride through the forest, gliding in and out of every twist and turn with a surge of excitement and adrenaline. After exploring all the natural wonder of Galiano Island, the couple heads back to enjoy the comforts of home. They change into relaxing loungewear and enjoy fresh tea on their deck overlooking the trees and water. They share intimate cuddles on a white lounge to reflect on their perfect outdoor adventure. 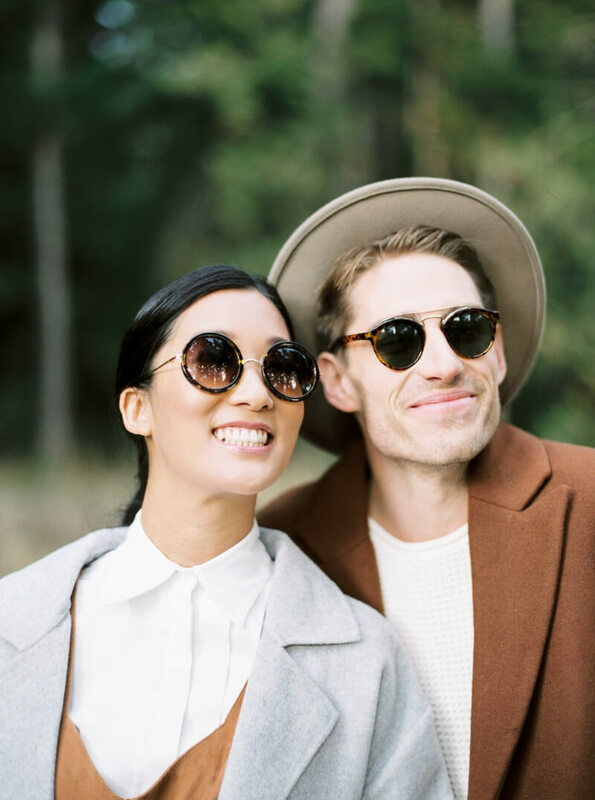 Every couple wants an engagement shoot that speaks to their own personal styles and the qualities that make their relationship exclusive. 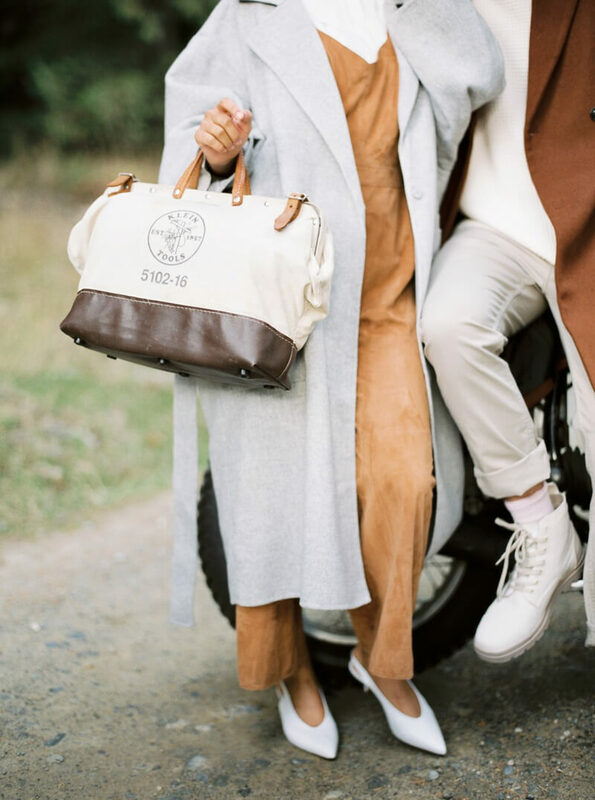 This shoot uses a couple's modern fashion sense to outfit a chic outdoor shoot while combining a sense of adventure and style. And by showing two very different sides of the relationship, it gives us an authentic look at who they really are.